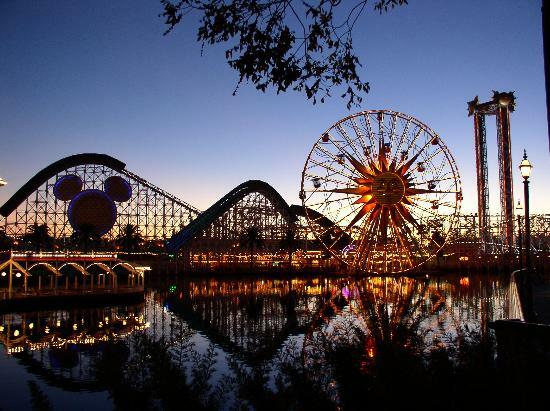 Your California vacation can’t be fulfilled without visiting Anaheim – the heart of Southern Los Angeles - Anaheim is mainly popular for the presence of Disneyland. 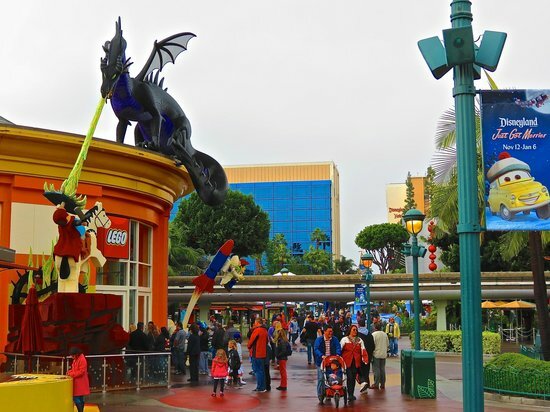 Almost 18 million visitors fly down here annually to experience the massive Disneyland’s complex. The place is filled with lots of theme parks offering both the water activities and cinema attractions. Listen here, shopalchoholics!! This is your shopping paradise. Some of the most popular shopping destinations are here. Not only Disneyland, but the place has also stored various attractions for tourists to offer. Basically, you are going to have the most interesting trip to California. Don’t waste your time. Pack the bags for a perfect tourist excursion in Anaheim. Let’s check out top 5 attractions in Anaheim. Disneyland California: The greatest family amusement park in California – Disneyland offers the ultimate entertainment. With several theme zones, this revolutionized park offers the chances to meet your childhood heroes and the other Disney characters, the Disney princesses. You will get a huge choice of attractions here. Those amazing rides – Splash Mountain, Peter Pan Flight, Indiana Jones Adventure and more like these will make you surprised. There is something for everyone. The Ducks and the Angels: If you are a sports lover or especially are interested in baseball, Anaheim is the place that you must visit once. It is one of the most popular sporting cities in California. Catch up the match where Ducks competing in NHL. Want to cheer for your favorite team on the Major Baseball League? Make your travel schedule to coincide with the sports season. Various family attractions: As we have said earlier, except the Disneyland, other exciting family amusement parks such as Adventure City, Knott’s Berry and many more. If you want to experience some of the world-class rides, this Knott’s Berry Farm Theme Park is the place. Different type of attractions shows including the beloved camp Snoopy and the Old West Ghost Town – worth watching. The Aquarium of the Pacific is the home for almost 12,000 animals – is the perfect place for marine life enthusiasts. Watch a medieval tournament: If you want to experience some unusual events, the Buena Park is providing an exclusive 2-hour show – “the Medieval Times Dinner and Tournament”. Here you will find the mounted knights, damsels in distress and sword fitting. Festivals: Anaheim is the city of festivals. People from all over the world visit here to feel the essence of varieties types of festivals. The vivid craft brewing scene is celebrated here in September – the “Fest of Ales”. In the season of fall, amazing Halloween parade can be experienced. For the foodies, a delicious Greek food festival takes place in May. Rock out: Whether it an intimate or personal venue or a big name attracting a full stadium and any musical event in between these – Anaheim stores the diversity of musical events for everyone. At GardenWalk in Anaheim, “House of Blues” is the most popular place where you can enjoy good live music immersing in the Southern-influenced environment. It has four distinct performance zones, an exclusive Foundation Room for an eventual VIP experience. Whatever your musical test and preferences are, you will simply be amazed by these live music performances here in Anaheim. The actual essence of Anaheim cannot be felt in just a few days planned tour program. You need to stay here for a few more days to feel the root of the culture here. Also, you can participate in the festivals or Halloween parade. Yes, participating in the Halloween parade is really an exciting idea. Don’t worry about the costume. Just visit the public storage anaheim to collect your preferred one. You just need to contact the store owner before borrowing something from there.